This expanded and celebratory re-issue of COVER PLUS by HAZEL O’CONNOR comes with a 20-page illustrated lyric booklet including a new and exclusive introduction written by Hazel herself. Its re-release coincides with a national concert tour across the UK in which Hazel will specifically feature many of the songs from this album. • Recording for a second time with the world renowned producer Tony Visconti, who had also produced her career defining ‘Breaking Glass’ soundtrack album a year earlier, Hazel O’Connor’s 1981 album ‘Cover Plus’ was an assured development of both her songwriting and her outsider artistry. Released in September 1981, ‘Cover Plus’ enjoyed a 7 week run in the UK Album chart peaking at No.32. The album combines selected cover versions with her own heartfelt, often autobiographical original songs; together they deliver a powerful personal manifesto and a singular artistic statement of intent. 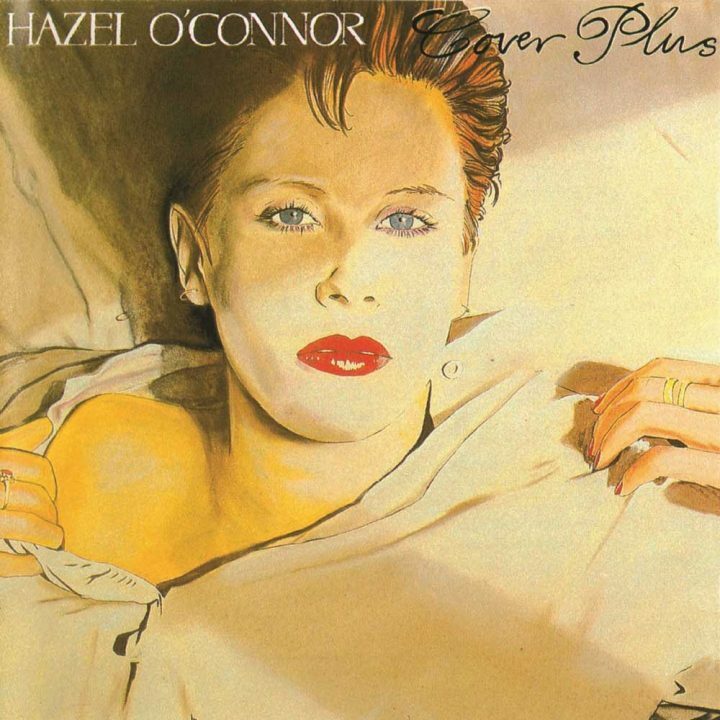 ‘Cover Plus’ was a solid assemblage of the then dominant post-punk and new wave aesthetics, a crossover style that Hazel was very much at the forefront of. Her legions of fans, at this time, were drawn from across a wide spectrum including punks, goths and futurists. • The lyrics of ‘Not For You’, evidence Hazel’s steadfast refusal to make or take promises in the context of personal relationships that could interfere with her own ideals of freedom. The album also includes a chilling re-working by Tony Visconti of Hazel’s pre ‘Breaking Glass’ 1979 debut single ‘Ee-I-Addio’ which recounts the horrors of a nightmare childhood. The original single version is included as one of seven bonus tracks that collect together B-sides of related singles of the time and a collection of foreign language versions of the album tracks, ‘That’s Life’, ‘Not For You’ and ‘Dawn Chorus’. • In order to move on from the persona of Kate, the character Hazel played to great critical and commercial acclaim in the ‘Breaking Glass’ hit movie, Hazel’s image had been transformed away from peroxide punk to the red hair and Bowie-esque stylings that are immortalised in the evocative ‘Cover Plus’ album cover art by Edward Bell. 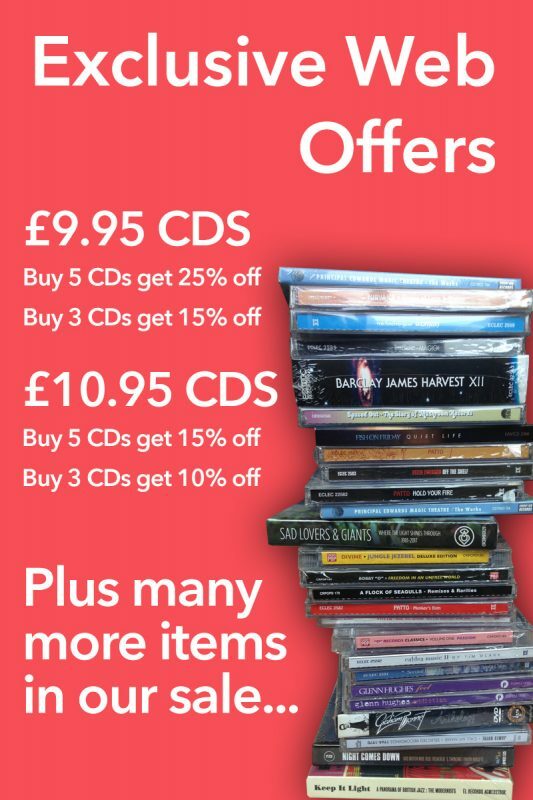 • The album contains three powerful cover versions; the Stranglers’ ‘Hanging Around’, a powerful story-telling song that Hazel imbues with her own invigorating nuances, an inspired and surprising gender switch re-reading of Jim Webb’s ‘Do What You Gotta Do’ and a faithful rendering of Lou Reed’s ‘Men Of Good Fortune’. • This expanded and celebratory re-issue comes with a 20-page illustrated lyric booklet including a new and exclusive introduction written by Hazel herself. Its re-release coincides with a national concert tour across the UK in which Hazel will specifically feature many of the songs from this album.